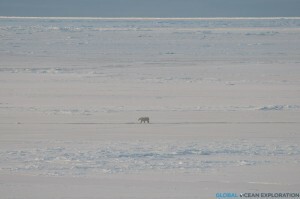 Western Arctic Log › October 16: Arctic Predator…POLAR BEAR!!! October 16: Arctic Predator…POLAR BEAR!!! Whenever I come on expeditions, everyone wants to know what animals I have seen. Here in the Arctic Fall as we find ourselves so far north, we have not seen many animals except for a few birds and the occasional seal. 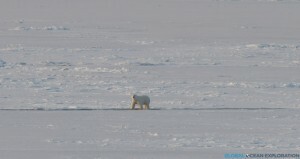 Today while in M’Clure Strait, we saw the ultimate arctic predator, a POLAR BEAR! 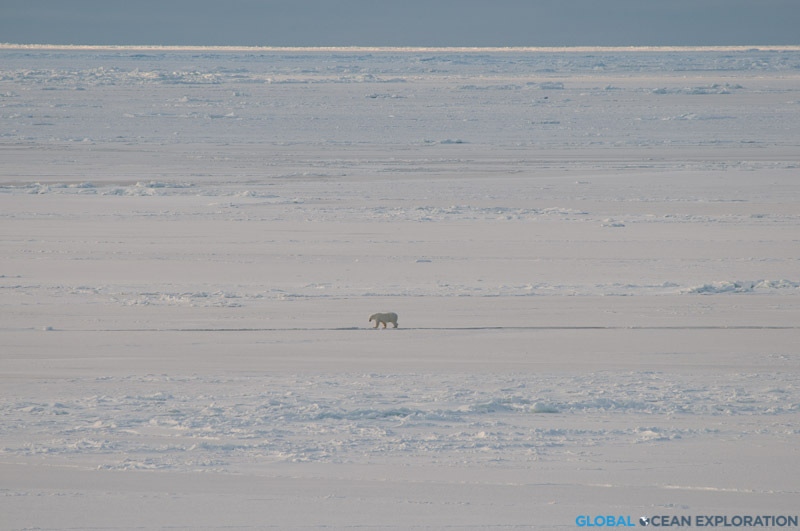 As we steamed between stations towards Prince Patrick Island, there he was cruising all alone on the ice-covered sea; so beautiful and majestic. In this super harsh environment, this bear survives in all its glory. 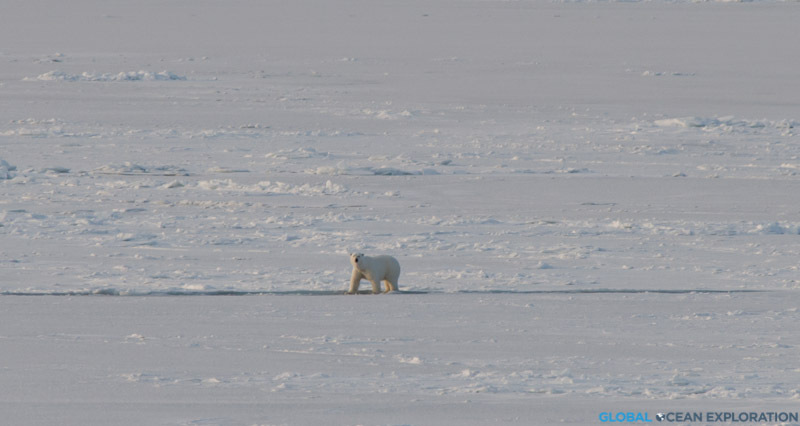 I feel very privileged to see a polar bear in its natural habitat, the sea ice. The bear looked up at the ship and, not phased by us, went on walking…So incredibly beautiful!